Is your restaurant suffering an identity crisis? Have you ever gone into a restaurant that doesn't seem to have a clear identity? Are they Italian or Mediterranean? Spanish? Latin? Global? Is the menu so large and cumbersome because the restaurant is trying to please everyone or just so unwieldy that you can't decide what to order? Did you take a Mexican restaurant and just change the tables and now are trying to look Asian? Are you wanting to be a fine dining restaurant but haven't budgeted for quality silverware and linens? Every restaurant needs to have an identity. This is why you often see an "About" page on restaurant websites. Not only might it tell some history of the restaurant, chef, or owners, but often it includes the philosophy or atmosphere of the restaurant. These are often drawn from Mission and Vision Statements and then expanded upon in more detail about ingredient sourcing, menu selection, and service goals. Identity is far reaching and permeates all aspects of the business. It will also be reflected in your restaurant's design, logo, even down to the font on the menu. Here are some things to consider when establishing your restaurant's identity. Can you convey it in a single sentence? Restaurants are like every business. They need to be able to be described to someone in a short elevator pitch of one sentence or no more than 30 to 60 seconds. If you have trouble describing what your restaurant's menu and philosophy are, then it leads to confusion for your staff and your customers as well. Can you visualize it as well as vocalize it? In other words, how will it look with logo, menu, decor, even uniforms? Everything needs to tie together. A disjointed image conveys disjointed management. An example is the formality of your restaurant. If you are trying to be very casual and easy, then you don't really need tablecloths and fabric napkins. You might allow your servers to work in jeans with an apron versus an assigned uniform. A formal uniform and formal table setting would be in conflict and confuse the customers. How do you sound in your message? This is often called your "voice". Using the casual restaurant example, having a very formal website with hoity toity language would again be in conflict with a casual setting. Instead, you should have a relaxed, friendly sound in how you "talk" to your customers. A Western style steakhouse might describe things with cowboy slang, for instance. This conveys a sense of nostalgic fun. Carefully thinking out a your restaurant's identity and how it relates to every aspect of your business is important for conveying a message to staff and customers. Take the time to plan it out carefully. Does your restaurant have a mission and a vision? If you go to any company, large or small, you can usually ask and receive a copy of their Mission and Vision Statements. In fact, many companies make it an important part of employee training so that the employees both understand and can recite back the Statements. It's often not the case with restaurants. First let's review the difference between Mission and Vision Statements. A Mission statement defines the purpose and primary objectives related to your customer needs and team values. A Vision statement communicates both the purpose and values of your business. Mission: Our mission is to offer diners great food, service and competitive prices in a way that also values our employees. The company will become a part of the community and provide a rewarding work environment for its employees. Vision: Our restaurant will change the way you think about a dining out. Full service comfort, friendly staff, a relaxing atmosphere, delicious, quality food, and the best prices in town give you an experience that will leave you excited about the meal you just enjoyed. When you don't have a Mission or a Vision, it's like having a rudderless ship that drifts around based on the winds and currents instead of having a direct course to success. Your staff are your crew that need to work together to keep the ship running efficiently and on course. This is why staff need to be aware of, understand, and live and exhibit the attributes of your Mission and Vision. If they believe and work according to the Vision, it will be reflected in their service to customers, guaranteeing satisfaction and success. It's important that your Mission and Vision Statements are clear, publicly posted, and included in all employee training. Doing so makes your staff and yourself accountable to each other and to your customers. Using pen and paper for reservations is so 1990s! When you enter into a restaurant these days you may see the host writing down names for the waitlist or reservations via the phone. It's hard to understand why there is still use of pen and paper when there is an abundance of tablet computers and user friendly software. 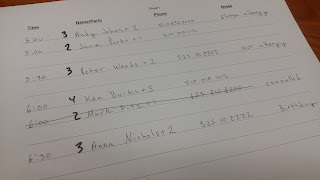 There are many obvious reasons as to why pen and paper aren't the best method in this day and age to track reservations: can't read the writing, messy, looks unprofessional, and easily lost or damaged. Below are some reasons that you might not have considered. Not detailed enough - Oftentimes staff don't take enough details of a reservation that might be useful in the future. While name, party size, time, and phone number are important, most people don't keep track of who took the reservation at what day/time. There are many other types of details that should also be taken if possible: allergies, special occasions, location preferences, and more. A computerized system will prompt the host to take down these details. Research issues - The above mentioned details come into play if there are any problems or issues that arise in the future. A computerized system will be able to tell you who took or modified a reservation and when. It can also tell you if a reservation came in electronically via website or Facebook. Database storage - In a computerized system all the information for all your guests is kept in an internal database. Most of the time you will use this data for the guest information and analytics (below), but sometimes you will want to use the data for other purposes. An example would be to download the guest emails so that you can send out an email newsletter or offer. It's rare that pen/paper users are also taking down email addresses and, even if they did, they would still need to later type them into a list or database. Analytics - It would be pretty difficult to collate the information gathered via paper into useful information. How many reservations did you have this month versus the prior month? What was the average wait time for a party of four? What hours or meals have the heaviest traffic and wait times? A computerized system keeps all this data for you so that you can answer these questions with a couple clicks of the mouse. This data can be useful for tweaking the business in your restaurant. You might be able to reduce staffing during certain days or times. You might see that you can turn tables over faster if you reallocate resources. The items above are four compelling reasons to make the switch from pen and paper to a computerized system. You will keep more useful data in an organized fashion that you can use in multiple ways to improve your business. At the same time, your guest will enter and see a more professional and neat setup at the host stand. Presented by Guest Innovations. Be sure to check out our affordable hospitality products Rezku, Waitku, Sendku, RezkuPrime, and RezkuTablet. Facebook Live is a powerful new social media avenue that restaurants need to consider using. Facebook Live allows you to air a live broadcast. What immediately comes to mind is, "Why would someone want to watch my restaurant?" The answer is that there are many creative ways to do a live broadcast and engage your customers. It's live! So be careful what you say and show. You have no time delay like live television has. If you curse, it's out there. You get IMMEDIATE feedback! While you are streaming your viewers can give you feedback immediately via two methods. The first is to ♥♥ you. During the broadcast they can send you hearts. The more hearts, the more they like what you are doing. The second way is by texting you. Viewers can send you texts within the broadcast. This means you have to pay attention to your feed so that you can answer questions or say "hello" to people who join in. Equipment. Two pieces of equipment (besides your smartphone or tablet) are highly recommended: a tripod and a microphone. The tripod means a stable vs shaky picture. The microphone ensures good sound quality, especially if your subject is far from the camera. Now that you understand the basics, what are some engaging ways to use Facebook Live in a restaurant? Film your bartender - Have a regular broadcast with your bartender making a signature cocktail or explaining basic techniques or ingredients. Film your chef - Your chef can prepare a seasonal special or show a particular cooking technique. They can also discuss ingredients — where they are sourced from, how to prepare, etc. Special events - Are you having a speaker or a band? Or perhaps you have a special event that you just want to live-feed. Special events lend themselves perfectly to broadcasting. 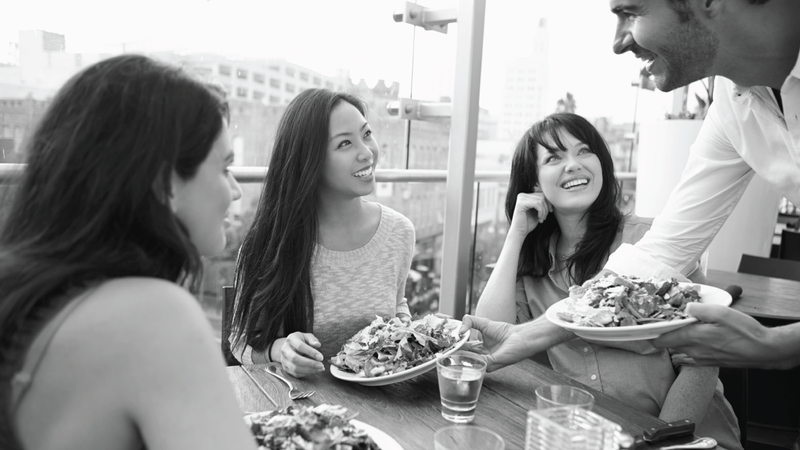 Out and about - Some restaurant groups take staff or send a purchaser out into the field to check out suppliers. Going on a farm visit? Or how about a trip to the fish or farmers market? These are great opportunities to show some of your daily routine and how it affects what the customers will be seeing on their plates. Just stream for atmosphere. There are some restaurants that stream live all the time. 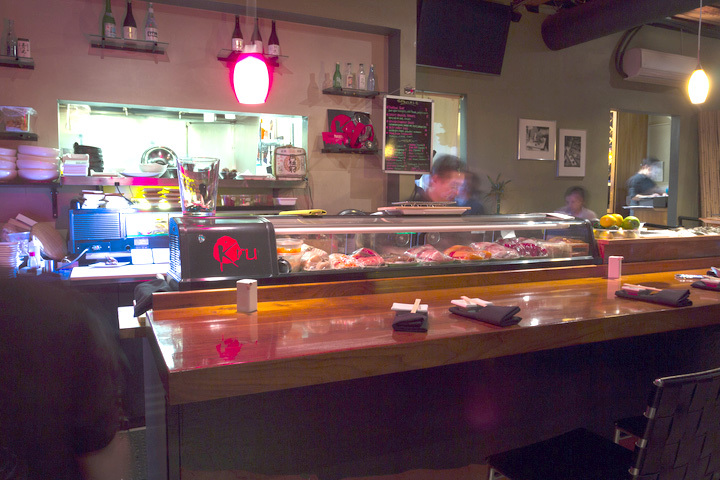 Mount the camera above the bar or in a spot that gets a good expansive view and let viewers see what's going on throughout the day. Facebook Live has become quite popular because it is easy to use and you already have an audience of your Facebook subscribers without having to start fresh. With millennials actively engaged with the ever changing world of social media, Facebook Live is an avenue that can be used for creative, engaging content. Change is hard for businesses. It means learning new methods to replace tried and true ones. Employees have to be accepting of new practices and some will need to learn things out of their comfort zone. It can also mean paying for something that you didn't have a need to pay for before. There are positives as well. You can experience increased efficiency, business, and profits. You might be able to trim payroll as well. So why is software adaptation in restaurants slow? No one wants to be the first to try something new. Meanwhile there are trends that come and go. You want to be able to see which ones are proven successful and which ones will fail. A good example is smartphone apps. When they first started appearing about five years ago, every business wanted to develop their own app. It didn't take long for restaurants to find out it wasn't worth it unless they were a large chain. The successful apps have been for large, nationwide chains. The independent restaurants and businesses gave them up. As restaurants are well aware of, there are multiple systems involved in just the front of house alone. Every restaurant has a Point of Sale system, a credit card processing company, and many have some sort of FOH management/reservation system. Now multiply each of those by multiple players. Just among the POS players there are over a dozen. While waiting has its benefits, changing does too. In the end, it's a decision based on costs versus benefits and a belief that new systems will improve efficiency, sales, and the bottom line. Too many restaurant vendors. Time to bundle! Here's something every restaurant in the world has to deal with: multiple vendors. 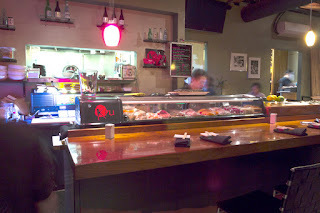 Now for the case of this post, we're talking just about front-of-house (FOH) vendors. There's a vendor for the point-of-sale (POS) system, another for the reservation/FOH management system, another for the credit card processing, and possibly one or two more for food delivery, pay by phone, etc. That means that each month the owner is shelling out money to pay for the fees and/or equipment rental for each of these services. That's thousands of dollars leaking through your hands that could be going to pay for the increase in minimum wage, another employee, or a new piece of equipment. The solution is to eliminate all those fees by reducing the number of vendors by bundling. Bundling is common. Consumers are used to it in such things as bundling their cell phone, cable, and internet services together. Companies such as Verizon offer such bundles at a price that saves you money and allows you to deal with just one vendor. Let's look at some areas where restaurants are spending money. POS - Point-of-Sale (POS) systems often have a huge upfront cost that includes the equipment, training, and installation. Some as high as $12,000. After the system is in, there are the monthly fees for the service and often fees for rental of the equipment. Many systems do not include ongoing technical support and upgrades, so there can be an additional fee for that. As you can see, oftentimes it is in the thousands of dollars with cost prohibitive monthly fees to have a good POS system. Reservation/FOH system - Just like with POS, there are a large group of vendors selling their reservation systems. All of them work off of monthly fees for the service ranging from free to thousands of dollars a month. There's the saying, "You get what you paid for". That pertains here. Free systems might save you money, but they won't have functionality or good tech support. The ones that charge by cover fees run into the thousands saying they offer you marketing in return. Many restaurants don't need marketing; they just want to be able to manage their FOH. Credit card servicing - Every time you run a customer's credit card, the vendor and the bank get a cut. Your customer's bill might be $50, but you only get $48.50. During the course of a day, a month, or a year - that adds up to a lot of money lost. The key is to find a single vendor that can do all these services for a low price. Unfortunately, there are currently no such vendors who have this full integration of products. But stay tuned for more on this from Guest Innovations…. Reservations and waitlist are easy enough concepts for restaurant patrons to understand. Either you make a reservation for a table to be ready at a certain time or you go and put your name on a list and sit around and wait for a table to become available. Pretty straight forward. Where the confusion comes in is when restaurants have a "Priority seating" policy and how it works. Especially since there does not seem to be a common set of rules that all restaurants use. Typically Priority Seating just means you call to put your name on the waitlist. You call when you are about to leave for the restaurant and tell them you will be there in 20 minutes, please put your name down on the waitlist. It does not mean the table will be ready for you, it just means you will spend less time sitting in the waiting area because your name will already have saved your place in line for you. Several situations could take place. For instance, you call and say you will be there in 20 minutes, but the current waitlist estimate at the restaurant is 45 minutes. That means you just have to sit in the waiting area for approximately 25 minutes instead of the full 45. Or you could say you'll be there in 10 minutes and there is an accident, so it actually takes you 30 minutes to arrive. Your name might now be at the top of the list, but the host keeps seating other parties until you arrive and then you get the next table that comes available. Regardless of the situation, Rezku can be used for both waitlist and priority seating. Rezku has several features that work well with priority seating seating. 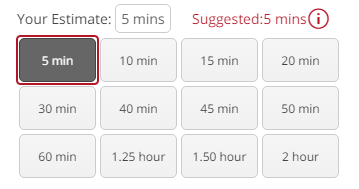 First is the ability to select the wait time estimate (above). Second is the timer on their name showing where they are on their estimated time. Third is the ability to color code the Priority Seating names so they are easier to track. Lastly is the ability to send time stamped text messages that notify that the table is available. Presented by Guest Innovations. Be sure to check out our affordable hospitality products Rezku, Waitku, Sendku, and Dinnerwire.